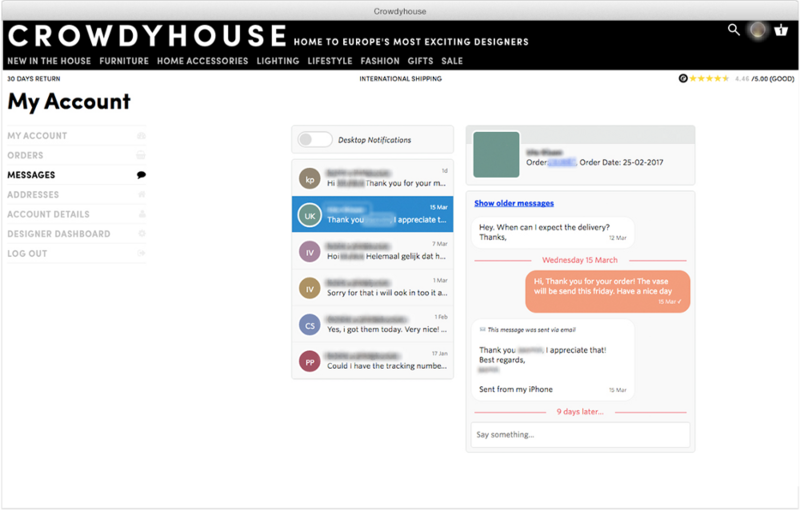 Crowdyhouse is Europe’s leading marketplace for self-producing designers to sell their collections. By removing the obstacles between designers and design fans worldwide they’re creating a trusted, transparent, and efficient marketplace to buy and sell beautiful products. 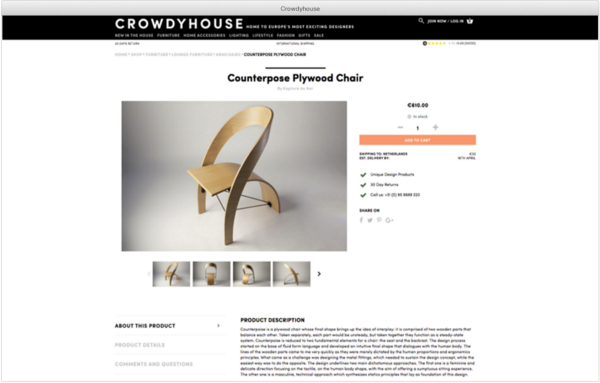 Crowdyhouse is on a mission to give independent professional designers the exposure they deserve and bring affordable design products into the homes of many. “We want to get rid of all the friction to help artists design and sell products directly.” — Mark Studholme, CEO. Recently, the ambitious founders took another step towards that goal by integrating TalkJS for the direct buyer-seller chat. At first, people on the platform were not able to get in touch with designers directly. At least it felt like they couldn’t, since the contact option was based on a cumbersome email communication and too limited in its features. That’s when we reconnected in the Rockstart Alumni Slack channel, and decided it made sense to swiftly integrate TalkJS before launching the new crowdyhouse.com. Right after a customer makes a purchase they get the opportunity to ask questions and give feedback to the designer. Likewise, the designer can ask the customer about what she liked about it the product, the experience and if anything could be improved. Naturally, this makes for a more personal experience between buyer and seller, which benefits repeat purchases and retention in general. A visible increase in customer happiness through after sales communication is amazing, but how much does it do for the bottom line of the business? Mark: “We already see an increase in return customers, but currently the chat is only available after the purchase is made. We’re planning to activate an option to allow customers to get in touch pre-sales. So designers can use it to actively sell to potential customers too”.